I'm not sure if I've always been super supportive of the idea of New Years Resolutions. Not because I don't have plenty of things I want to change about myself or my life but because I don't feel like people should make these huge goals just because there is a calendar change. I should choose to change my life because I've realized that my life needs changing. 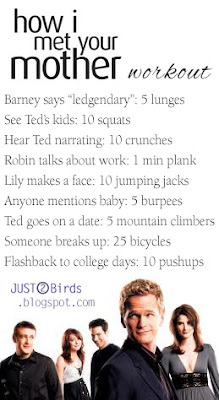 Having said that, I have come to that point and I think that it might be fun to see how these "resolutions" go! 1- Do something active everyday! Can you tell which shows we like to watch? 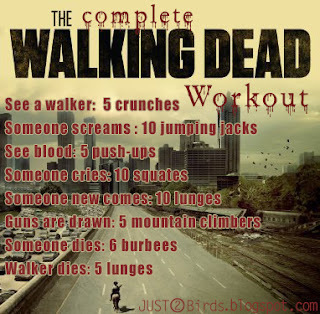 I can't wait for "The Walking Dead" to start in February! To keep me motivated I will be posting some progress photos! I would love encouraging words from my lovely readers! You guys give the best support! My home may be clean but it doesn't feel like that because it's not as organized as I want it to be. I need to have a place designated for everything. Example: I hate how nuts my craft cupboards are and the top shelf in my pantry, for Mike's tools, needs some serious attention. Along those same lines - I want to organize my time better and spend my down time doing something better than taking a nap. I need to study a little more, workout a little more (see #1), and spend a little more time studying religious materials (see #3). 3- Spend more time on religious activities! 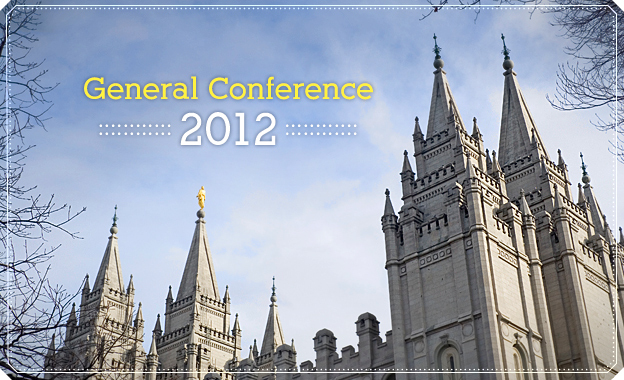 I want to read all of the conference talks from October 2012 General Conference from the Church of Jesus Christ of Latter-Day Saints, in addition to my daily scripture study. You can access them HERE. These are amazing talks from spiritual leaders tat guide us as to what is most important for people to be focusing on to grow closer to Heavenly Father in these trying times. I'm thinking that these three are plenty to be adding to my busy schedule for 2013. I'm going to keep you posted on how this will work for me. Check out the link on the side of my blog to check out my progress.